This window allows setting up a Print2Flash Windows service which is used to run Print2Flash Server and convert documents under an account different from the launching user account. This may be useful if the launching user rights are too low to permit launching and printing from applications, which is necessary to convert files with Print2Flash. See Running Automation Objects under Different User Account topic for more information. At Print2Flash installation Print2Flash Windows service is not installed but you may install it with this window. Initially, you should see Install Service option which you should check in order to install Print2Flash Windows service. Additionally, you need to specify a Windows user account which will be used to run Print2Flash Windows service and hence all the applications which will be sending documents to Print2Flash printer. You should enter Windows user name and password. Make sure the user name is specified in Domain\User format e.g. "WebDomain\p2fuser". If your computer is not on a domain, specify your computer name in Domain part. The window checks the user name and password you entered in this window for validity. After you installed the Print2Flash Windows service, you may change the user account at any time by opening this window and entering a new user name and password. To uninstall Print2Flash Windows service, open this window and choose Uninstall Service. Additionally, you may check "Grant access and launch permissions to Everyone" checkbox to grant access to Print2Flash OLE Automation API for all users. 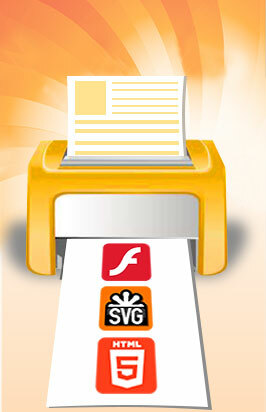 This ensures that Print2Flash OLE Automation objects are accessible to any user even if computer security defaults prohibit so.